NYC, 04/03/2019, 6:00PM. Black Maybe: Notes on Black Writing, Aesthetics, and Value. The re-emergent debates around race and the avant-garde rhyme with, or serve as proxy for, similarly re-emergent debates about the relationship between class and race, on the one hand, and the status of mass media on the other. In both sets of arguments the value of experience is at stake, and partisan arguments on all sides tend to re-stage the fundamental terms of the supposed antagonism without either historicizing it or asking what work the idea of an opposition does in the present. 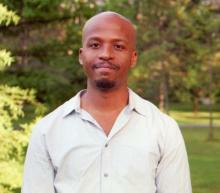 Speaker Anthony Reed is Associate Professor of English and African American Studies at Yale University.